Welcome to our new subscribers and welcome back to our loyal readers -- LIBeerGuide hopes that 2018 is off to a great start for all of you! 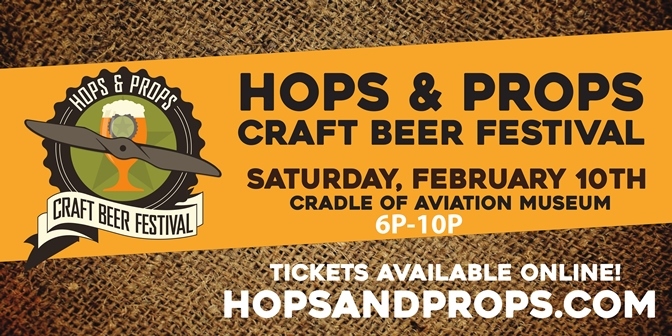 There is much to look forward to this year on the LI beer scene: a new brewery coming to Westhampton Beach; expansion for breweries in Bay Shore and Northport; progress on constructing breweries in Patchogue, Riverhead and Huntington; and lots of great beerfests including Hops & Props this Saturday at the Cradle of Aviation Museum. This is a fabulous time to be a beer lover on Long Island, and LIBeerGuide.com is eager to help you find and enjoy great beer all across the Island. Please pass along the Brewsletter and help spread the word about our website and social media. The crowds had barely finished leaving Times Square after the ball drop before the news came of another craft brewery planning to open on Long Island. Westhampton Beach Brewing Co. announced the leasing of 4,800 square feet of space in the Hampton Business District at Gabreski Airport. The brewery was founded in 2016 by childhood friends Brian Sckipp and John Salvaggio, who had previously been investors in a North Fork winery, along with another long-time friend, Kathleen Tedesco. The three partners recruited a veteran Long Island brewer, Dave DeTurris, who was brewmaster at John Harvard's Brew House in Lake Grove for 10 years until it closed in 2015. DeTurris was well known for brewing a wide variety of delicious dark ales including Atomic Espresso Stout, Pinstripe Porter and 'Ohana Coconut Brown Ale. He also showed versatility by brewing several Belgian and German beer styles, including a Maibock that won the Gold Medal for best individual craft beer at the Tap New York festival in 2010. Westhampton Beach Brewing is planning to open in time for the Westhampton Beach St. Patrick's Day Parade on March 10. We look forward to tasting Dave's beers at the new brewery and expect that a tasty Irish stout will be on the menu! Craft breweries all across LI are busy with expansion projects and new construction. In Bay Shore, Fire Island Beer Co. is putting the finishing touches on its tasting room so it can open to the public later in the spring. Also in Bay Shore, The Brewers Collective Beer Company opened a much larger tasting room just around the corner from its old tasting room and brewhouse. The expanded tasting room has ample seating and space for live music and games. 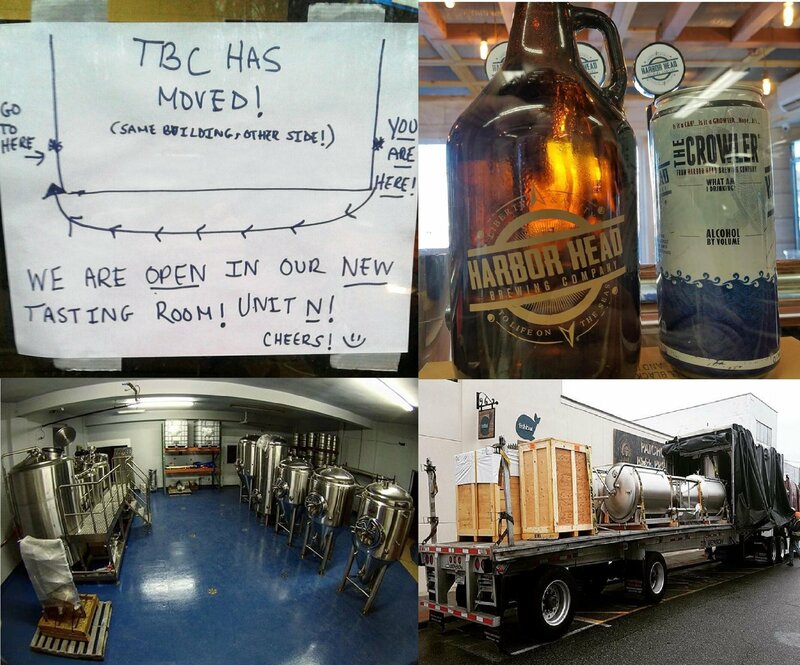 Up on the north shore in Northport, Harbor Head Brewing Co. opened its tasting room in mid-January and had packed crowds enjoying flights and buying crowlers and growlers. 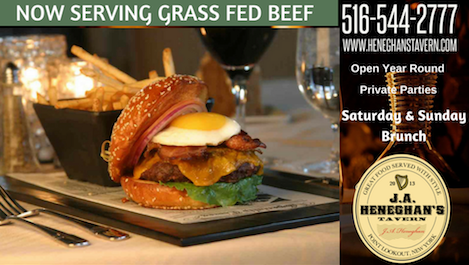 Harbor Head's tasting room will be open on Sat. and Sun. from noon to 5 pm during the winter months. In Patchogue, new brewing equipment arrived in late January at Patchogue Beer Project and is being installed with plans to begin brewing later this month. North Fork Brewing Company in Riverhead installed its new brewhouse in the old firehouse on Second Street that is also home to Long Beard Brewing. Both breweries hope to open their tasting rooms later this spring. A brand new brewery is also close to opening in Huntington. Six Harbors Brewing Company, founded by longtime homebrewer Mark Heuwetter and his wife Karen, installed their new brewhouse in a 2,500 square foot building on New York Avenue that formerly housed a dry cleaner. The brewery has already started canning its H3 Huntington Harbor Hoppy Double IPA and is putting the finishing touches on its new tasting room, with plans to open in a few weeks pending approval from the town. 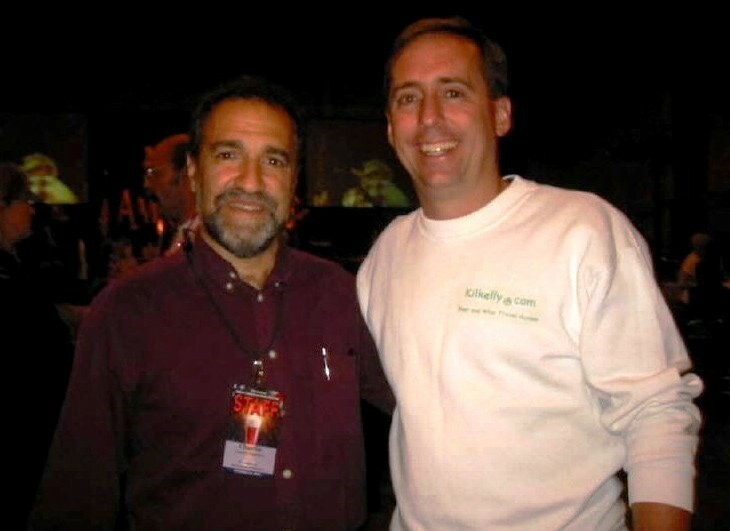 The American Homebrewers Association (AHA) recently announced that Charlie Papazian, known as the 'father of homebrewing' and the founder of the AHA and the Great American Beer Festival, will retire from his official roles with the organization in 2019 on his 70th birthday. The AHA also announced that Charlie will give the keynote address at the 40th annual National Homebrew Conference, now known as Homebrew Con, to be held in Portland, Oregon on June 28-30. Charlie founded the AHA in Boulder, CO in 1978 along with Charlie Matzen. They spread the gospel of homebrewing by publishing the first issue of Zymurgy magazine, working to promote federal legalization of homebrewing and organizing the the first AHA National Homebrew Competition. Charlie's first book in 1984, The Complete Joy of Homebrewing, inspired millions to begin homebrewing and today, the AHA has more than 46,000 members. In 1982, Papazian organized the first Great American Beer Festival (GABF) in Boulder, CO. After moving to Denver in 1984, the GABF has become the largest ticketed beer festival in North America with more than 60,000 attendees annually. The competition held every year at the GABF is one of the most prestigious in the craft brewing industry. I had the privilege of meeting Charlie many years ago at the GABF and while his energy and passion for great beer was apparent, I was also impressed by his warm and outgoing personality. I could clearly see why he was best known for his catchphrase of "Relax. Don't worry. Have a Homebrew." LIBeerGuide hopes that Charlie gets to enjoy many well-deserved homebrews and craft brews in his retirement. Craft Beer and Poker Chips -- Every Wednesday night, 7:30 pm, play Texas Hold 'Em at Guys and Dolls Billiards & Bar in Valley Stream. Free to play, fun prizes and enjoy one of Long Island's best selection of craft beer in cans and bottles.